Are you looking for The Croods game cheats or The Croods game tips perhaps? Maybe you want some free Croods coins or free Croods crystals too? If yes, then you are lucky today and you have come to the right place. Just read my tips and tricks below and try it. The Croods Game Cheat #1. Fastest way to level is to follow Granny and do Gran’s chores. Yes you hairy oafs Gran gives good advices at the start of the game and this true all over the course of the game. 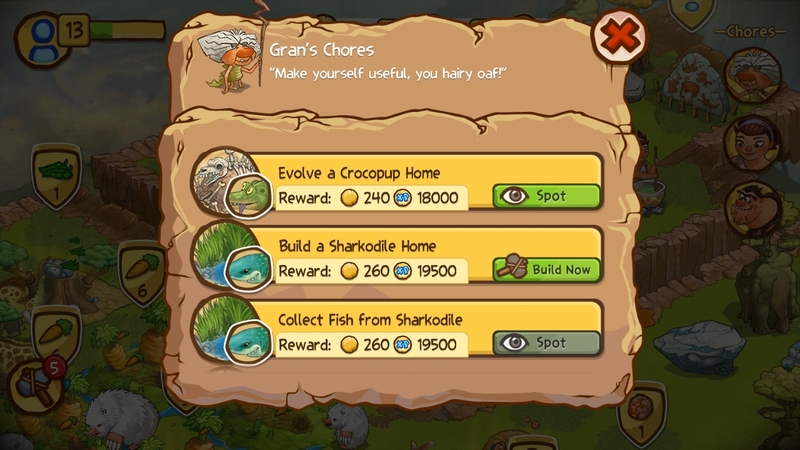 And by doing her chores you gain good The Croods XP experience points and free Croods coins. Just follow Gran’s advice. As much as possible DO NOT create new homes/structures yet or upgrade existing ones before Gran tells you. Because Gran will request it as the game progress and it’s a waste of time/resource re-doing the structures/upgrades. The Croods Game Cheat #2. Group similar structures (homes) together. Keep structures or homes close/adjacent/near each other so that it will be easier to manage. I learned this in Warcraft, Starcraft and other games and this is generally useful for most games, the Croods Game included. 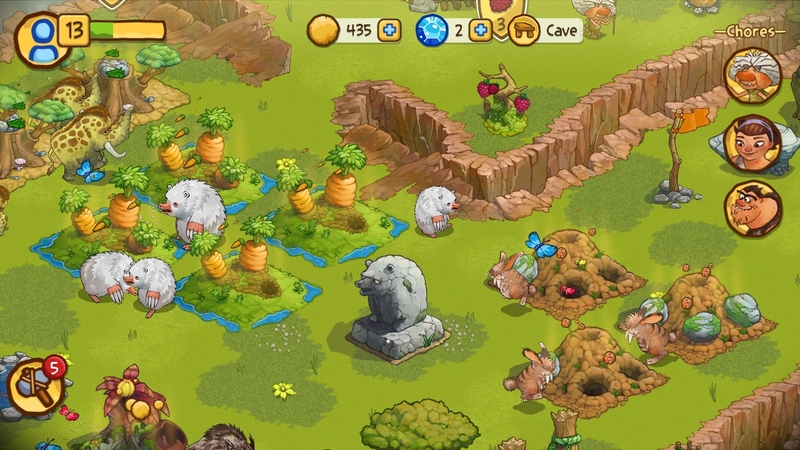 Here I place my Molarbear homes and Bunny Beast homes near each other so that I can create carrots and stones faster. The Croods Game Cheat #3.Use Capacity. Queue it. Chores can be done in queue (or sequence) when you have needed materials. Look at the image below. 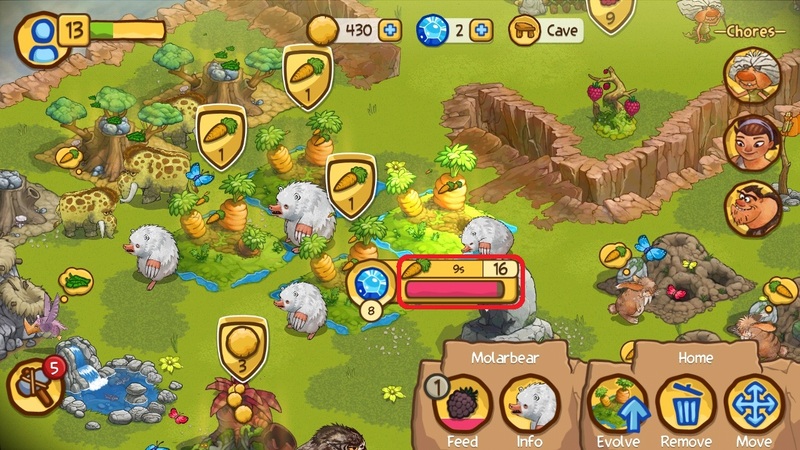 My Molarbear is currently doing 6 carrots on queue. 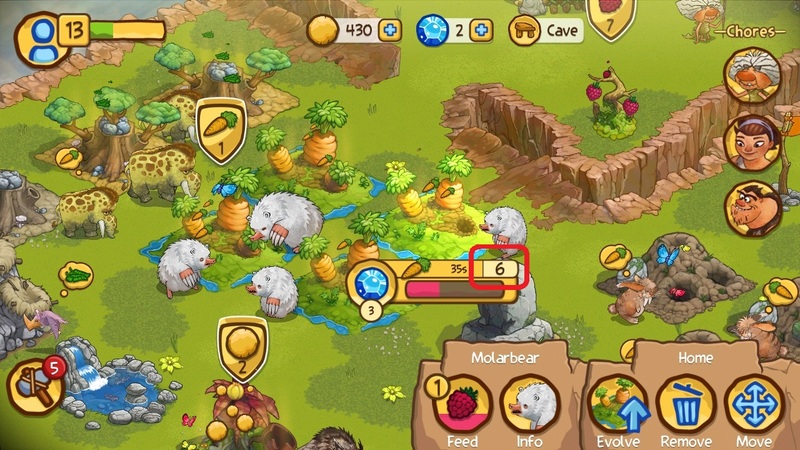 I can feed my Molarbear with more berries so that it can do production queue up to 16 carrots and the bar below it will reach full capacity (see next image). Capacity can be increased when evolving homes. The Croods Game Cheat #4. Need Free Croods Coin? Trade with Ugga and create Ugga’s soup. 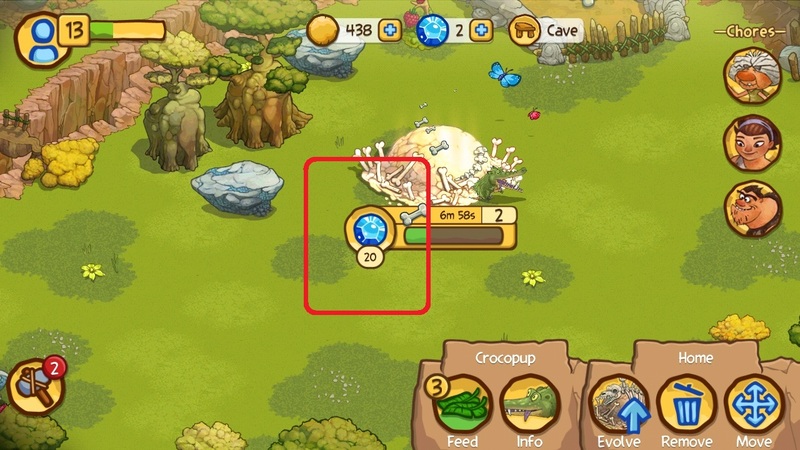 This is the safest Free Croods Coins tip in-game. 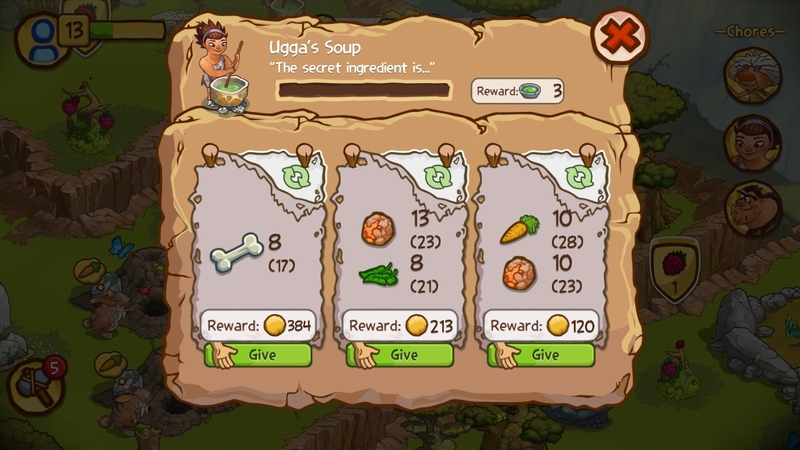 This is win-win because you create soup to level up the creatures and have Free Croods Coins rewards. 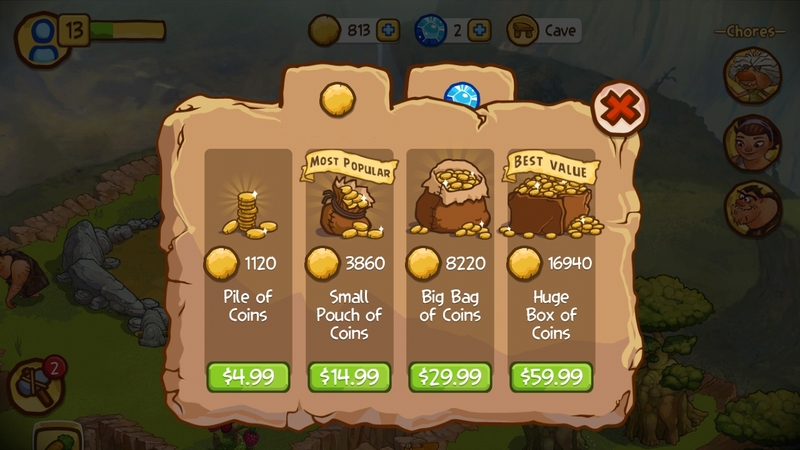 But if you are a rich kid then go buy some Croods coins in game. The Croods Game Cheat #5. Be Careful with the Crystals. On my current level, the Crood Crystals are the hardest to get and therefore the most important resource in game in my own personal opinion. The Croods Game Cheat #6. Increase cave storage. 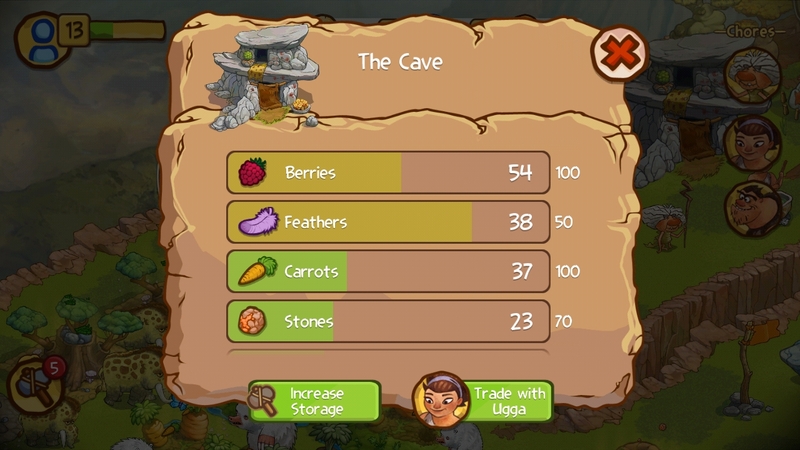 As the game progresses, cave storage becomes very important because it will tell you how many resources you can keep. 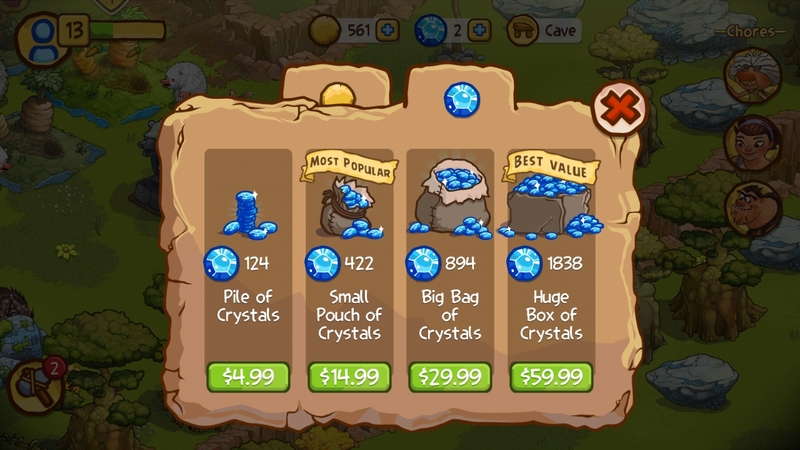 Cave storage needs lots of Croods crystals and given the difficulty of crystals in-game, I would recommend paying attention to this tip and upgrading as soon as resources permit. As a bonus cheat: like my usual game cheats and tips post, I always encourage safe gaming, meaning don’t cheat, don’t run other app/exe/scripts/surveys that promises to give you free Croods coins or free Croods crystals. There are lots of malware, spyware, keylogger, malicious downloaders, fake apps, fake surveys out there that are masquerading as cheat tools and engines. Always be safe in your gaming. OK? Hope you like my Free Six The Croods cheats and tips post.